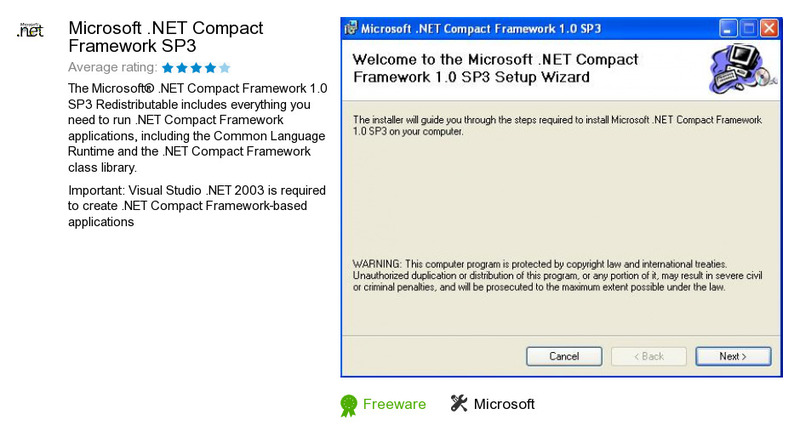 Microsoft .NET Compact Framework SP3 is a software program developed by Microsoft. We know of version 1.0. Version 1.0.4294 is available for download at our site. Microsoft .NET Compact Framework SP3 distributive has a size of 15,172,402 bytes. Microsoft also publishes MSR MapCruncher for Virtual Earth and MSDN Library for Visual Studio 2008 - ENU.